NTR can give Ugramm a cult status if he remakes it. Home/NEWS/NTR can give Ugramm a cult status if he remakes it. 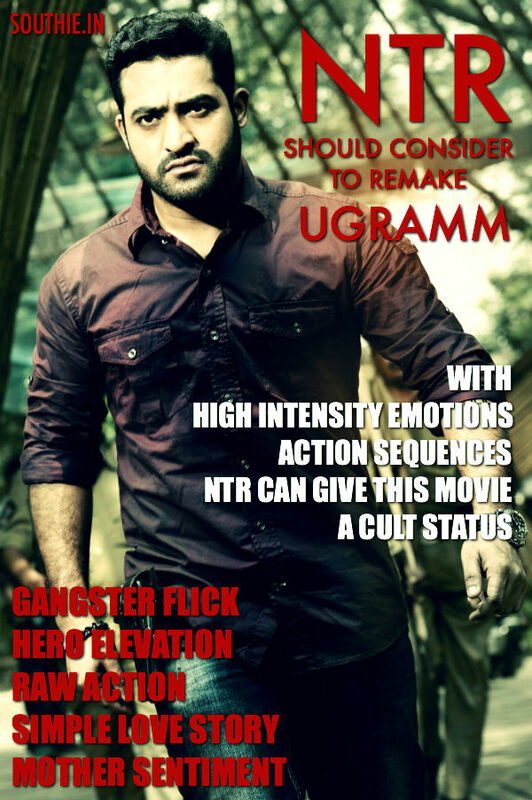 NTR can give Ugramm a cult status if he remakes it. NTR should try to remake some movies that would suit him best. Some scripts would suit him best even though they are from other languages. NTR doesn’t do remakes, but there are some movies and scripts that would suit only some stars if they are remade. Ugramm is one such movie that has all the mass appeal and intense emotions that would suit well for NTR with his high energetic performance. His previous hits like Adhi and Simhadri showed the true potential of the star, and none of the directors were able to recreate the same magic of these two movies. Temper to an extent showed the master class of NTR, but it fell short of the true potential of the Superstar that Tarak is. Watch Ugramm and decide for yourself.